As life passes by you start to wonder about what you’ve achieved and what you regret. Looking at the quote above I wonder if I have twenty years left to do more. So, am I more disappointed by the things I didn’t do than the things that I did? There are lots of things that could have worked out differently but I don’t see them as disappointments. A lot of stuff that has happened was not my fault, so they are not my things to hold. You can’t control other peoples actions but you can control your reactions to them. If there is one disappointment it could possibly be down to travel. I’m not well travelled, the furthest I’ve been is Dublin, I guess that is abroad? I’ve never been in an aeroplane, though, but I don’t really want to either. It’s partly an irrational fear, partly a complete indifference to wanting to experience it. I have no desire to be in a metal box high up in the sky. I’d rather grow my own wings and float on the air. If there was a way to see the world for me, then it would be on a cruise ship. Strange, I don’t want to be in a metal box in the sky but I’d be happy to be in one on the ocean. I guess the difference is the size and freedom of movement you would have on a ship. I do have claustrophobic tendencies. Leaving it so late to travel has brought along extra difficulties. It would have been easier to do when I was not sick or disabled. Travelling to town in my wheelchair fills me with trepidation, how would I cope in another country? Would I even get travel insurance now? I guess the answer is yes, I do feel disappointed that I didn’t travel more when I could. But it’s never too late is it? One of my aunties took her first holiday abroad when she was in her 60s, she went again every year afterwards. So in the time I have left my wish is to remedy this disappointment in my life and travel more. I want to sail away, I don’t really care where. I would really like to go North rather than South though, I’d love to see the Northern Lights, and visit countries like Norway and Demark, and maybe even down to the Netherlands. We had been thinking about making our first family trip abroad by going to Disneyland Paris with the kids, but if I’m honest, we are lacking interest. We are not huge Disney fans and the kids are not that keen on Theme Parks. Plus, I doubt I’d get to see much from my wheelchair. We’d have to go by train or coach and I think the journey would break us, none of us are good travellers. I think that’s why a cruise appeals to me, you are travelling while you holiday on the ship. If I can fit in a cruise then I can be satisfied that I’ve not been disappointed with anything in my life. 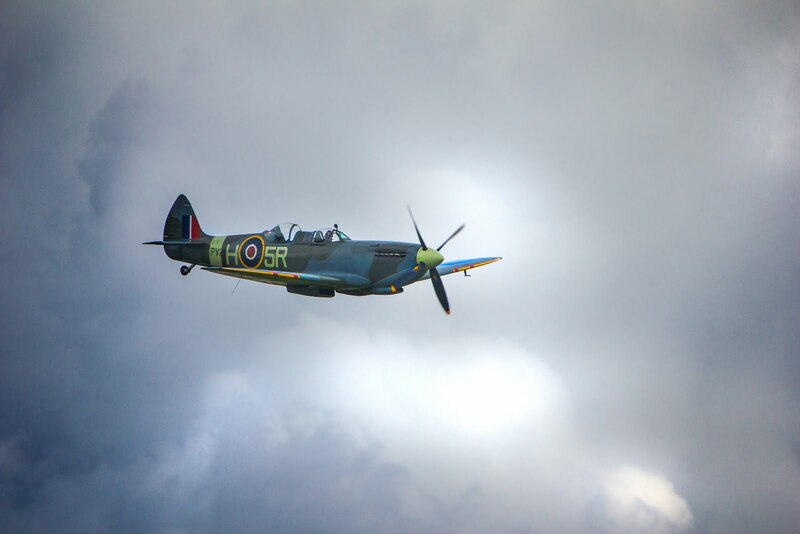 My Dad travelled because he was in the army during the Second World War. (Yes, my Dad, not great grandad! But he was a lot older than my Mum, and they had me later in life too.) My Mum never went anywhere, I think her record was the Isle of Wight and she hated the ferry journey. She never regretted it, she had no desire at all to travel. Both my older brothers have done plenty of travelling, my eldest brother even worked in croatia for a while. My younger brother managed to travel abroad too, before he died. My Older children have been abroad many times. Their Dad lives in the South of France and they have been to visit him and he’s taken them to other countries too. My eldest daughter has been to America and wants to go again this year. She’s has also visited other European Countries like Germany. I think her dream trip would be to Japan. Star went on a school trip to France last year. They went by ferry and coach and she coped really well, but they didn’t travel far from the coast line and stayed in Boulogne. I’m sure Boo will be looking forward to her chance to go next year. So, despite my not taking them, my children are getting the chance to travel and see other countries. I believe that I never travelled because my Mum didn’t, she never took me away as a child, and I never had the opportunity with my school. I’m happy that my children are not being held back because of me. Is there anything in your life that you feel disappointed about not doing? Are you well travelled? Let me see what Spring is like on Jupiter or Mars. Have you ever wondered what life would be like if we could travel across the solar system? Well grab your towel because this is the ultimate hitch hikers guide to the galaxy! This book offers space enthusiasts an unparalleled visual experience of our solar system. Featuring eight removable NASA posters highlighting the wonders of space, gorgeous full-colour photography and stunning art, Bell’s travel guide takes you on a futuristic tour of the solar system and beyond. Informative summaries of every destination are based on knowledge gleaned from more than 50 years of space exploration. The moon is close to home and is about a quarter the diameter of Earth. It’s surface area is less than the size of Asia. so how about a weekend on the moon? The moon has extreme temperatures so you have to make sure you are wearing the right kind of space suit. It also has low gravity so you’ll weigh only 16 per cent of what you weigh back home. It also has a rough terrain and spends a lot of the day in darkness. Places to visit include the first Apollo landing site, Luna Park and the lava tubes of Aristarchus Plateau. A Must for Science Fiction fans and anyone who wants to learn more about our universe. This large hardback book is jam packed with everything you need to know about our universe with a fun twist. It’s a futuristic journey through the cosmos. In some parts you have to suspend belief and imagine you are a hundred years in the future, so there is a lot of fantasy to enjoy. But, there are also many facts to be absorbed, for instance; what causes Jupiter’s auroras and why Titan provides a unique window into understanding the early history of our own world. I think this book will appeal to all kinds of space fanatics and I know it will be well read by everyone in our house. Disclosure: I was sent this book in return for this review. All thoughts and opinions are my own. My Top Ten Wishlist of Amazing Trips Around the World. Everyone has a bucket list of places they’d like to visit, things they’d like to see, experiences they’d like to have. I’m no different. Sometimes I think I may have left it too late, my original plan was to have a dream trip with the money from a savings plan that matures when I am 55, but now I am disabled I’m not sure that will happen. I still hold on to my dream though and I thought it would be nice to share with you some of my trip ideas. Yes, this is top of my list because I’m not a sun lover, I adore the snow! I would love to see the Northern Lights. My dream would a be cruise along a Norwegian Fjord, wrapping up warm and enjoying a relaxing drink while waiting to see the spectacular light display. 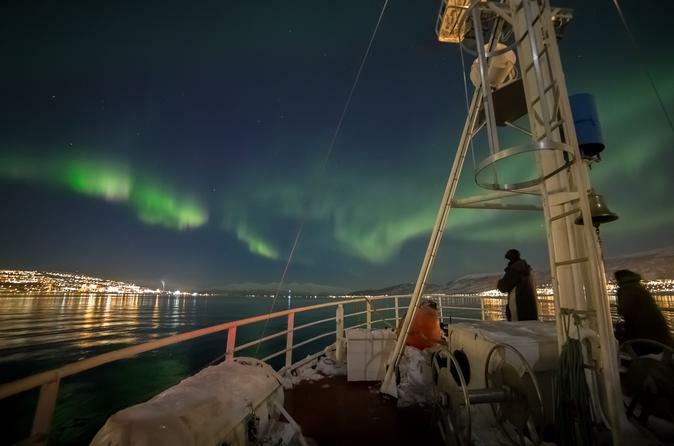 This tour departing from Tromso looks amazing. Okay, I’m still in the cold and snow but I promise to warm you up later. Despite Christmas bringing me many sad times I’m still a lover of the magic of Santa and his reindeer and how wonderful would it be to visit Lapland! I would be thrilled to take a trip on a reindeer pulled sleigh and visit the old man himself in his hometown. I would send everyone a postcard from Santa Claus Post Office. I’m excited just thinking about it. Oh, and I guess the kids would like it too. When I think of Vienna I always think of Romance (And Mozart, but not at the same time.) What could be more romantic than a trip around the city in a horse drawn carriage, taking in sights like the Ringstrasse, Vienna State Opera and St Stephen’s Cathedral? Then enjoying a 3 course meal by candlelight, perfect for popping the question, but I’m already married…maybe an anniversary treat? 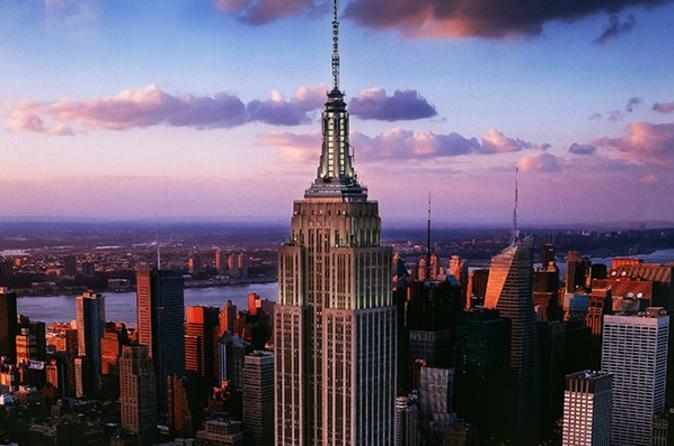 If there was a city I’d really love to visit then it would have to be New York! I’d have to take plenty of money and leave plenty of suitcase space for all my shopping. I’d revel in the sights but most of all I’d love to go to the top of the Empire State Building (preferably not in the arms of King Kong!) I’d like to see the place where Sam and Annie (Sleepless in Seattle) finally meet. But most of all I’d like to feel like I was on top of the world and soaking up all the views of such a large and amazing city below me. I have always wanted to visit Lake Como since watching the film, A Month By the Lake. The scenery totally sucked me in and I so wanted to be there. So my next trip will start to warm you up a bit as I go for a cruise and dinner on Lake Como in Italy. As a big fan of My Family and Other Animals from when I read it as a child, I have always wanted to visit Corfu. I’d love to see the crystal waters of the Paleokastritsa area and tour Corfu Town. A mixture of gorgeous beaches and old towns with narrow streets. Don’t let the headline fool you, this would be an incredible trip. I love the television series Death in Paradise, the views are stunning and if there was anywhere I’d love to live it would be on the French Caribbean Island of Guadeloupe. Even more exciting would be a tour of the fictional island of St Marie where Death in Paradise is filmed. The only thing is, I would certainly hope not to be the next murder victim. Staying with the heat (you’re welcome) my next Island visit would be Hawaii. I’m sorry, I’m not one for lounging around on the beach though, so I’d opt for an Island tour and this one around Oahu sounds perfect. You can circle the whole Island and stop offs include the Byodo-In Temple, Diamond head and Halona Blowhole. It sounds entrancing. I would love to visit Japan for two reasons, shopping in Tokyo and sight seeing of the more ancient areas. So this is a two in one dream trip. First up shopping in Tokyo, I’ve heard it’s easy to get lost so how about a Shopping Tour? I love anything Japanese, so I’d just choose my shops and away we’d go. Second up would be a Sightseeing Tour. 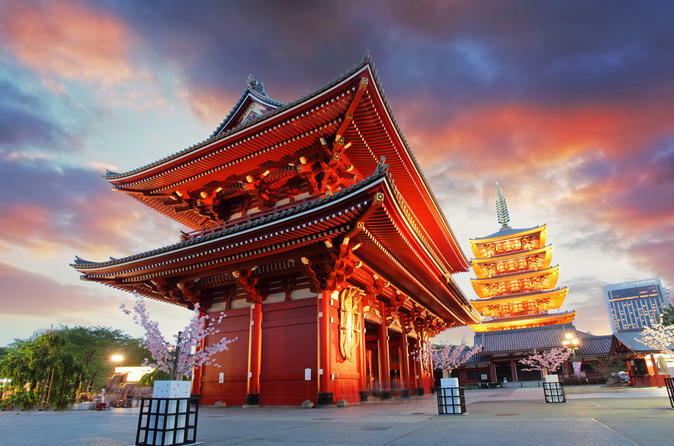 I would love to visit some of Tokyo’s temples and gardens, such as Asakusa Kannon Temple and Imperial Palace East Garden . Then the trip would end with even more shopping. I am a pacifist and truly hope that we never experience another world war anything like WWI and WWII. I think a tour of Dunkirk would bring home the reality of the wars and although we should always remember those that suffered we should also think about the horror that another World War would cause. Plus, this trip is one that would please my husband as he has a thirst for knowledge about the history of the wars. I hope you have enjoyed my tour. What do you think of my list of trips, is there anything you would like to do? Would you add your own, I’d love to know where you would really love to visit? Disclosure: This post contains affiliate links. This post is my entry into the Viator Affiliate competition. Last Friday it was the prestigious Mad Blog Awards at the Royal Garden Hotel in Kensington, London. I was attending as a finalist, for the third time! I only get to go because of my lovely friends and readers who nominate me and vote for me. I didn’t win, again, but that doesn’t really matter. What matters is getting to spend the evening with lovely people celebrating all blogs and how blogging changes your life. This was my first time attending as a disabled person. Before, I’ve gone on my own, a little nervous travelling around London but the excitement overtakes all nerves. This time my partner had to come with me, to push my wheelchair and help me get around. I can’t do anything without someone helping me now. It makes me sad, but it also makes me appreciate the people in my life more. It’s not just the people in my life, sometimes strangers help out a lot too. Let me tell you a story. It all began on Friday lunchtime. All packed and ready to go, I was waiting at the bus stop with Graham, my partner, to get the bus to the train station. The bus was really late and I was getting worried we would miss our train. Graham always says I panic to much, he calls me a flapper. Then he realised that he hadn’t packed his shoes so we had to go back home. It was getting late so I called a taxi to take us to the station. We told the driver that we were late and he sped off into town like lightening. I was sitting in the back focusing on my mobile to distract from the speeding driver. We got to the station with five minutes to spare when disaster struck. After getting out of the taxi, getting my wheelchair out of the boot, getting me in the chair, sorting out the luggage, we were in a bit of a panic and Graham may have just been pushing me a little too fast when he hit a water drain…and I went flying, literally, I felt myself propelled into the air and there was nothing I could do. Thankfully I had a suitcase on my lap, that also went flying and I landed on top. That saved my upper body, other wise my hands, arms and face would have probably been hit pretty hard. There was nothing to save my legs though and it’s incredibly, incredibly painful for me to lie face down. Everything became a complete blur but I was aware of so many people asking if I was ok, asking Graham if he needed help, and Graham pleading how sorry he was. I was lifted up back into my chair. My legs had given up working altogether and I was shaking with fear. Everyone was so nice and helpful and I don’t even remember seeing a single face. Just voices of kindness. The station assistance man who had been waiting for us was very understanding and said we could get on the next train in twenty minutes. He told us to grab a coffee and take our time. The train was late, there was a tree on the line. Were we ever going to get to London? Finally, placed on the train, nerves started to settle a little and we pulled out our packed lunch, even though it was well past lunch time. We were about an hour into the journey, which was pretty slow because of back log of trains, a train traffic jam, over the delay clearing the tree. Then Graham said to me, did you pack my shirt! What! I thought he’d packed all his clothes, now it looked like he was attending the awards shirtless! Don’t panic, I remember Sally saying there is a TK Max nearby for those last minute emergencies. He’d just have to go and buy a new shirt. Then the train stopped and into our coach poured a bunch of football fans, beer cans in hand, loud and singing football songs. Oh, no, just what we needed. We shrank into our seats and thought maybe if we were quiet they wouldn’t notice us. Graham is not a shirker though, he talks to anyone. After about ten minutes he piped up…”are you Leicester supporters then’ This made me snort with laughter, along with the football ‘hooligans’ They had talked about nothing but their players and sang their teams songs, I knew they were Liverpool supporters and I don’t like football. This broke the ice though and they turned out to be really nice lads. Graham chatted football with them for the rest of the journey. When we arrived they offered to help him lift me off the train. I declined, the station assistance where waiting for me with a ramp…much safer, especially after what had happened earlier. We had decided that we were going to walk from the station to the hotel..yes, walk. It was only a 40 minute walk according to Google maps with most of it being through Hyde Park. We started off in the wrong direction but I corrected that quickly and we about turned and were soon on our way. The rest of the directions were easy to follow and we soon arrived at the park. At an entrance with steps! Google maps didn’t tell me that. Refusing to be defeated and with the end of the journey in site we conquered this obstacle by me getting out of the wheelchair, grabbing the rail and walking up the steps. Thankfully they were small steps and wide apart so it was not so bad, and easy for Graham to lug the wheelchair up too. Once in the park we headed in what we hoped was the right direction, enjoyed some of the lovely views and soon arrived at the hotel. As soon as we arrived in the room Graham sped out again to buy a new shirt, luckily he got a real bargain. We arrived at the Awards after freshening up and dressing up feeling like the rest of the day didn’t matter and we had a truly wonderful evening. I got to meet a few ladies that I’d only ever talked to online before which was lovely. I also caught up with some friends old and new. The food was delicious, the wine flowed and more new friends made. Seeing each winner called out was really exciting and it was lovely that every winner took the time to say a few words. I know that must be nerve wracking standing on a stage and speaking to everyone. I couldn’t do it, which is one of the reasons I’m glad I’ve never won. Every award was well deserved but it was lovely to see my friend Steph from Steph’s Two Girls on the stage for the Outstanding blogger awards. She didn’t win but you can’t deny that Becky from Baby Budgeting deserved her award. Also, a big congratulations to my fellow Brummy Emma from Brummy Mummy of 2 for her awards for best use of video and Blogger of the Year! Helen Lederer was our host and she was brilliant. She did channel the last years host a couple of times which was hilarious, but I think she did a better job. Probably because she wasn’t so drunk. All in all, despite our eventful journey, it was an incredible evening. Enough of my waffling, lets have some photos. First up, here’s me, Steph and Jeanette, we’ve been friends through our blogs for years now! It’s the first time that I’ve met Jeanette though and she blogs at AutismMumma. This is me and the lovely Helen Lederer. I always find it so difficult to photograph the food nicely when we eat by candlelight and only have our phone cameras, but you do want to see some don’t you? The dessert had mixed reactions on our table. Personally I loved it, it was fresh and light and the flavours worked well together. And you could eat the green stick. Here is Helen doing her job, she was really funny and such a nice person. All the nominees for the Outstanding Contribution Award. Well done all of you and keep up the good work.